Where the story really Starts 72 Trillion Years Ago. Moscow has reassured Belgrade that it supports the territorial integrity and sovereignty of the Balkan nation, following a crisis in Kosovo over the weekend, President Aleksandar Vucic noted, following his visit to Russia. The latest regional tensions surrounding Serbia and its renegade province of Kosovo were discussed in detail in Moscow between President Vladimir Putin and his Serbian counterpart. 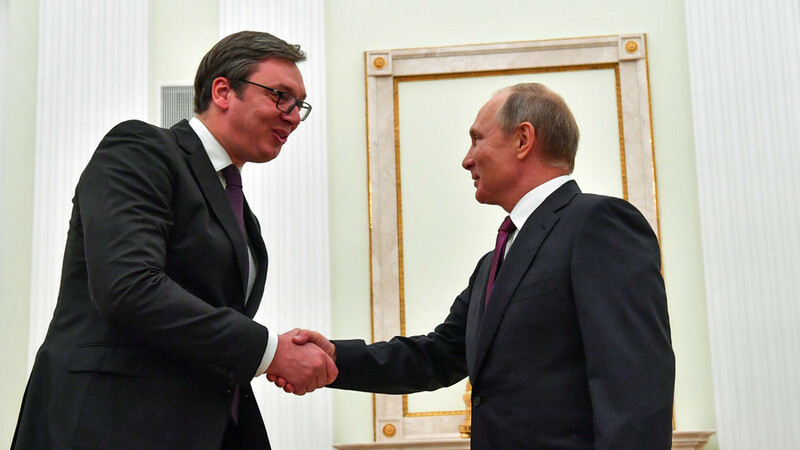 And, while the specifics of the talks were not shared with the public, Vucic seemed happy with the outcome and support he said he’d received from the Russian president amid the crisis in the region. 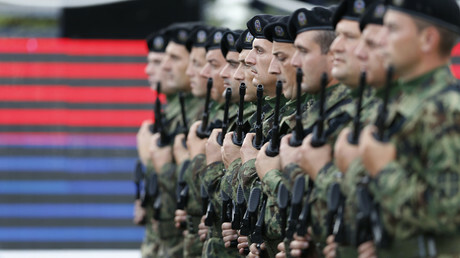 The Balkan nation’s sovereignty was severely undermined during the 1999 NATO airstrike campaign and occupation of Kosovo, and following the province’s unilateral declaration of independence in February 2008. While tensions have persisted over the last decade, last Saturday a fragile peace was almost shattered after several dozens of members of Kosovar special forces entered Serb-populated northern districts around Lake Gazivode. The commandos then took over the Belgrade-controlled hydroelectric power plant and entered the Ecology and Development Center in Zubin Potok. While the self-proclaimed republic justified the commandos’ presence in the area as security insurance for its president Hashim Thaci, who visited the region on Saturday, Belgrade placed its troops on high alert and locals erected barricades in Zubin Potok fearing possible provocations. Moscow has long supported Belgrade’s position and territorial integrity, both before and following Kosovo’s declaration of independence. Russia is one of the major countries in the world, in addition to India, China and Israel, who have refused to recognize Kosovo’s independence. Over 100 nations, led by the US, have recognized Pristina as a sovereign nation, however. In recent months, Vucic has been discussing the idea of “border changes” with Thaci. While no conclusion has been reached, the areas under discussions involve municipalities in the north of Kosovo which still have a majority Serb population. Ethnic Albanians control most of the province since 1999. Ahead of Vucic’s visit to Moscow, the Russian Foreign Ministry called the Kosovar intrusion a “provocation” aimed at “intimidating” Serbs and putting pressure on Serbia. The ministry also slammed the international peacekeeping force in the region for failing to safeguard security by allowing commandos into the north. Watch S-300 launchers, interceptors & radars unloaded in Syria after Il-20 downing. Staggering discovery reveals moon lies INSIDE Earth’s atmosphere. Are Russia, China & Turkey bringing back the gold standard? RT’s Keiser Report finds out. Mask is off’- US shifts to open coercion & manipulation against ICC, analysts tell RT. Demise of the [Ab-Original Americans] indigenous people during colonization of Americas cooled the Earth – study. latamdatemms on ‘Our build-up is defensive, Russia’s aggressive,’ says NATO after Putin’s remark – but is that fair? I have successfully bandwagoned to be hyped for MS?